Thank you very much for the opportunity to share the wonderful things that our students and parents are doing with the Foundation’s support. As the Illinois Teacher of the Year, I have had the incredible opportunity to sit with the president, the governor, and state legislators in order to advocate for education. It has certainly been an incredible year for me. As I speak to many people, some may wonder what my motivation has been for my involvement in social reform and education. I have engaged the disenfranchised and poor in Kazakhstan, India, The Netherlands, Bolivia, Mexico, Guatemala, Nicaragua, Puerto Rico, and many parts of the United States, and my drive has always been the same. I am in love with the Golden Rule and that is what drives my endeavors. The Golden Rule states, “So whatever you wish that others would do to you, do also to them." You see when I teach, I teach my students the way I would want my own children to be taught. And let me tell you something, I love my own children very much and I am willing to give them every opportunity within my reach to ensure they have a prosperous life. When I discovered that about half the Elk Grove Students were not growing up with access to a public library or a park district, I thought about my own children. I thought about the social development my sons Lucas and Dante have acquired by doing karate and playing soccer since the age of 3. I thought about the countless times my wife and I have taken our children to the public library to enjoy the beauty of reading. After pondering about this dilemma, it really moved my heart to make a difference. 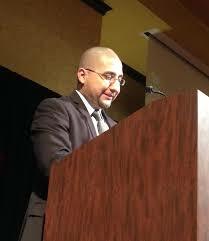 It also explained why we were seeing so many students with social and academic gaps when they arrive in high school. With the Foundation's help, this year we have made our district better by providing a community-led solution to this inequity. 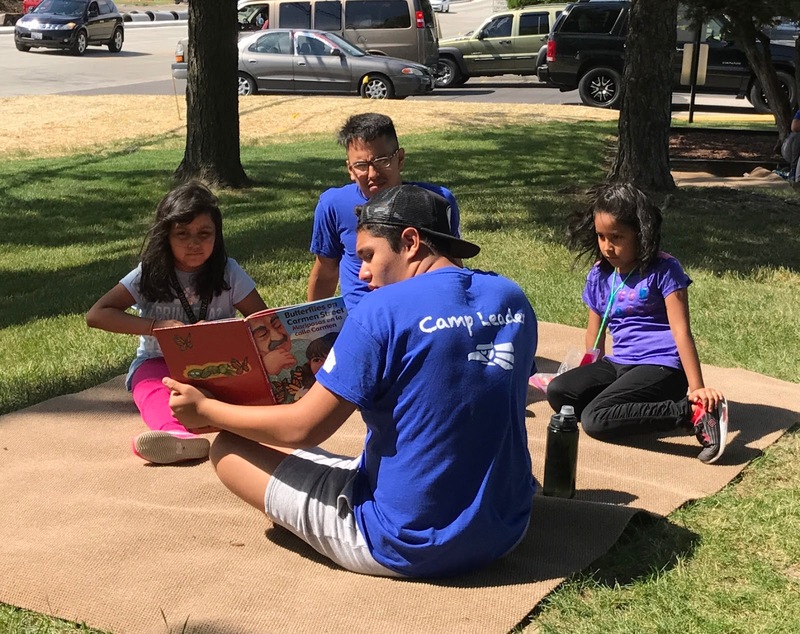 This summer, over 65 middle and high school volunteers were camp leaders in charge of helping over 100 Kindergarten through 5th grade students as they engaged in multiple camps throughout the summer. We fostered the idea that leaders from within should lead social reform. 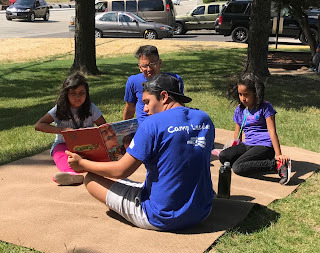 Over 100 neighborhood K-5 children experienced the benefits of a library and park district within their trailer parks. These same children will be our future District 214 students. Our camps consisted of 3 stations. 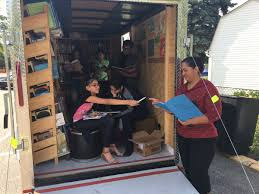 There was a reading station that helped children enjoy over 2,000 books throughout the summer housed in our very own book mobile. There was a sports station that developed leadership and teamwork skills led by EGHS students and coaches. There was also a STEM station that invited children to make binary code bracelets, chemical experiments, aerodynamic planes, and strong structures by using architectural principles. This project is a clear example of how we are addressing tomorrow’s problems today. All this was provided by the Foundation’s generous contributions from people like you. Tonight, I say thank you for doing to other children as you would like to be done to your own children. The Foundation’s purpose and mission is a reflection of the wonderful values that are conducive to having a sustainable democracy and the teamwork found in supporting leadership from within communities. Thank you again for your generosity and service to our community.